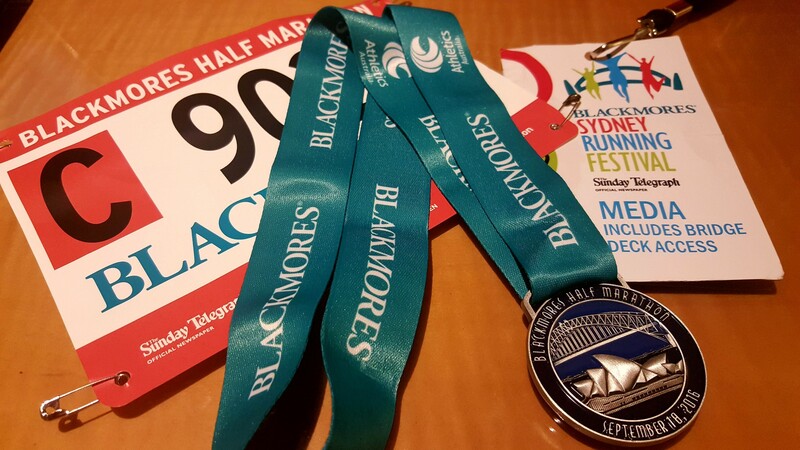 Race Review: Blackmores Sydney Running Festival 2016 (by Pushing Forward) | JustRunLah! Less walking, Less complaints, More smiles and appreciation. Australia has widely been recognised as a laid-back country. That is certainly not the case for Blackmores Sydney Running Festival. 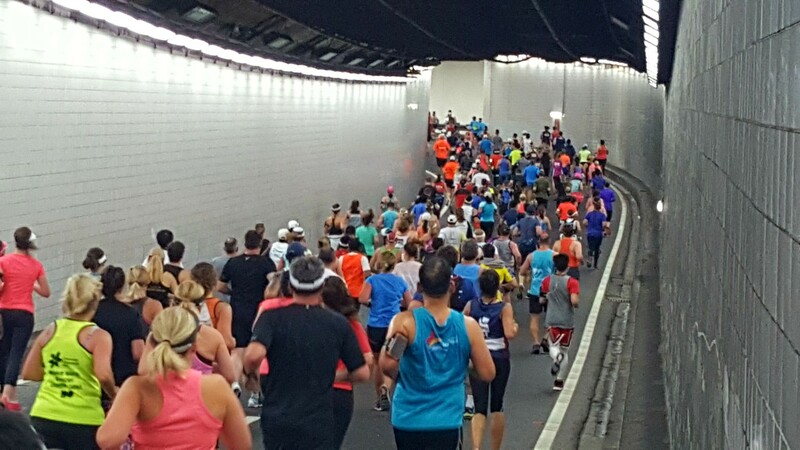 On the day, Sydney celebrated healthy living by gathering around its famous locations to run, cheer and inspire. With a flatter and faster route, many came hoping to secure for a ticket to Boston Marathon 2017. With a more beautiful route, many came to experience the city through running (runner’s way). 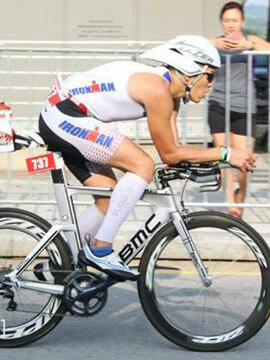 For me, I took a step back to absorb in the atmosphere given to me by the running community. And I’m glad I did that. Do not stop. Throughout the 21km race, I did not see any participants walking. From beginners to seasoned runners, Australia running community never stops, they continued to run, they continued to race. 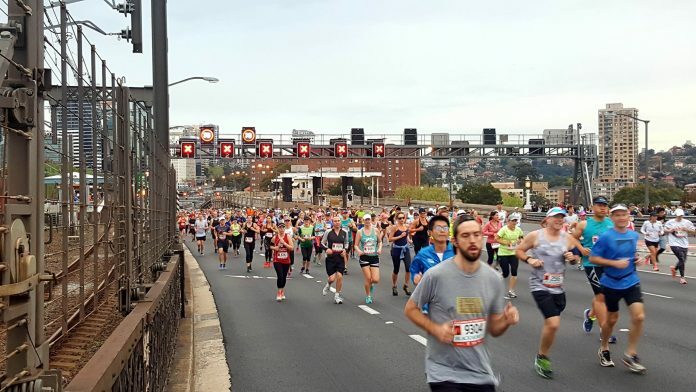 Coupled with a scenic running route through some of world iconic landmarks such as Harbour Bridge, Darling Harbour and the Opera House, together we explored Sydney the runner’s way. This unspoken determination certainly motivates any participants of the race to constantly enjoy the journey ahead no matter how hard it maybe. Just as in life, once you commit yourself to a goal, never give yourself a reason to stop. From babies in prams to supporters holding well-written motivating cardboards, Blackmores Sydney Running Festival has them all. With such an enthusiastic support from the locals who lined up in the streets of Sydney, you do not need the MP3. Fun, vocal and loud supporters take your mind away from any pains and inspire your every step. They make the race for runners easy and enjoyable. And they make the race for participants memorable. From supporting your family to supporting your running buddies to supporting your running clubs and supporting your running community. Sometimes, it better to give than to take. And enjoy the journey. Sometimes we may be too obsessed with improvement. That may be short lasting. However, take a step back and reveal. Anything that will attract you for a longer period of time is the fun and enjoyment you gathered out of it. As for the event, runners dressed in their favourite costumes were common. Smiles and praise of appreciation were heard given to the crews at the drink stations and organising committees on the route and at the finishing line. 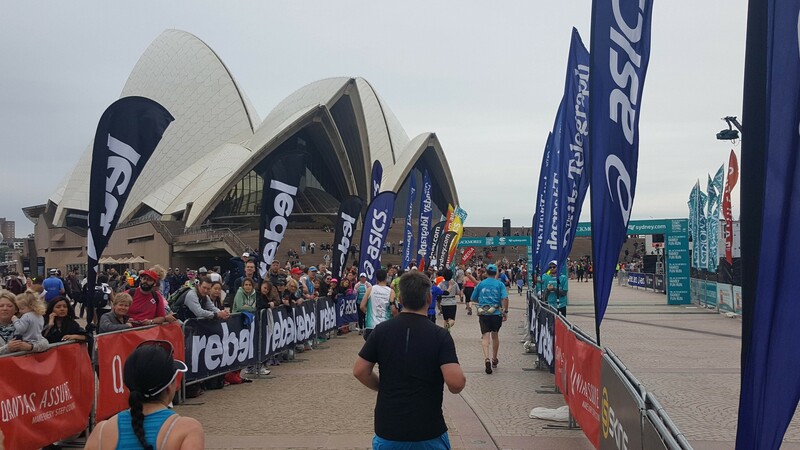 If you are heading to Blackmores Sydney Running Festival 2017 or hoping into Sydney for a holiday, check out Runners’ Must Do Itinerary – Sydney Beautiful Coastal Run. Lastly, well done to the organising committee of Blackmores Sydney Running Festival. I truly enjoyed myself. Thank you New South Wales Tourism Board for bringing me back to a place I called home for 4 years. Fond memories deepened. I will be back!